We are launching a series of eBooks and video courses to further support your small business. Because your time is valuable, these resources will focus on what you need to know to succeed, not everything there is to know. These eBooks and video courses will be for the small business who wants to do more and do it themselves. We will teach you vital tips to help your team develop the skills needed to build your online presence, manage your social media, design your own graphics, run your own Facebook ads and more!. 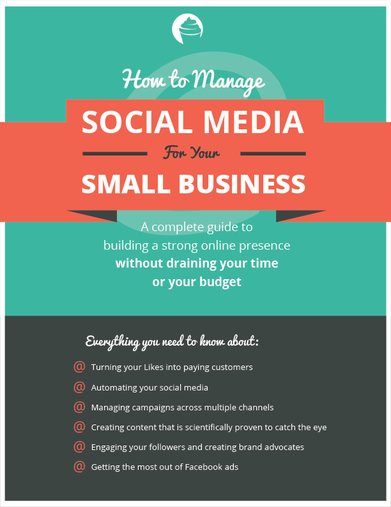 We are hard at work on our first eBook: How to Manage Social Media for your Small Business. As a small business, we know your time and budget is limited. That's why we have designed this eBook specifically for you - the business that wants to capitalize on the benefits of social media without hiring a social media manager or taking valuable time to learn how to do it all yourself.